Robot calibration is becoming more popular as it can remarkably improve the accuracy of industrial robots. This is becoming very attractive to small and medium enterprises. 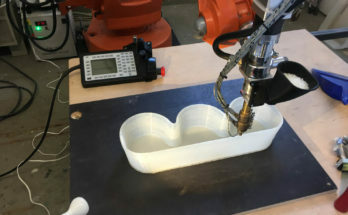 Robot arms are very affordable and can be used for multiple manufacturing applications such as robot machining. 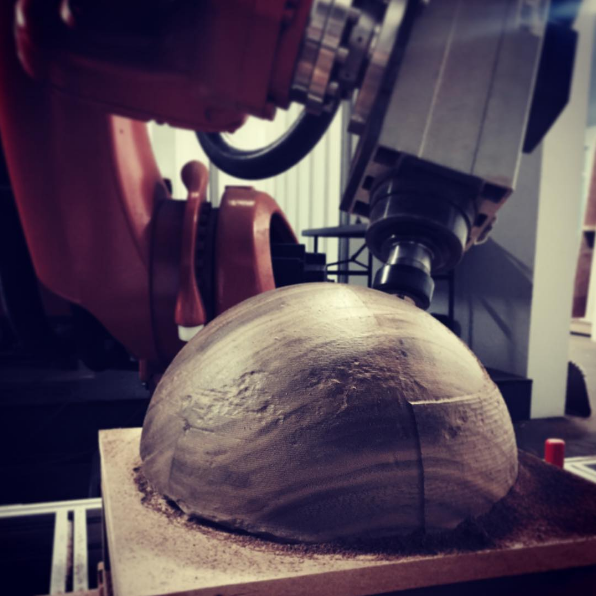 Industrial robots are widely used to shape materials such as wood, plastic or marble. Industrial robots are highly repeatable but not very accurate. 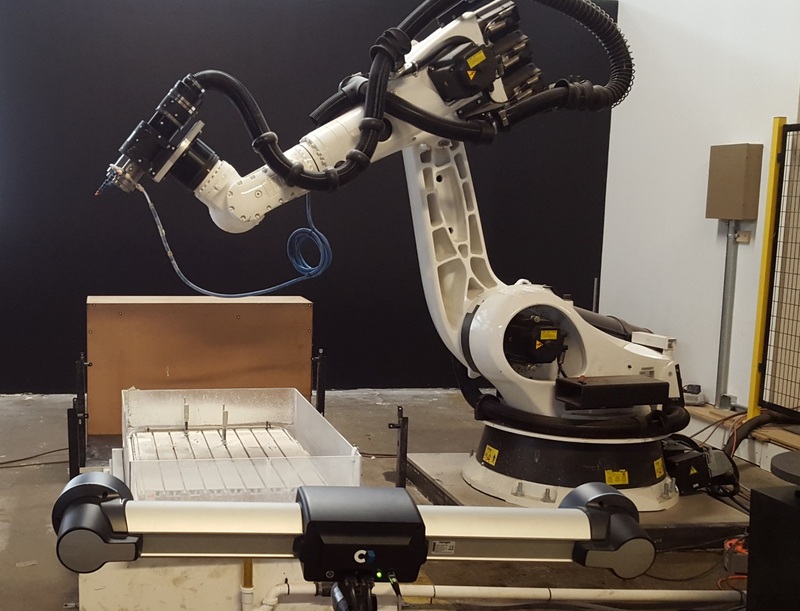 However, through a robot calibration process the accuracy of a robot arm can be improved to the point where it is close to its repeatability, usually under the 0.100 mm mark. The work accomplished by Neoset Designs Inc demonstrates the capabilities and results that can be obtained using RoboDK’s offline programming. Robot calibration and robot machining features are available in the same RoboDK simulation environment. Neoset Designs manufactures unique pieces of art for well renowned artists and designers, such as Elie Tahari. The following images show some examples of accurate robot machining projects accomplished by Neoset Designs. 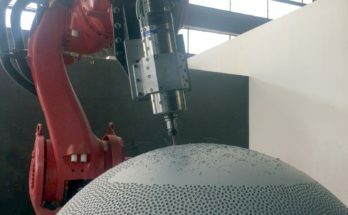 The accuracy of a KUKA KR210 robot and a KUKA KR 120 R2500 was improved to better than 0.200 mm. The calibration was accomplished by taking less than 100 measurements using the Creaform’s Portable CMM. Compared to other adaptive compensation methods, robot calibration does not require a permanent measurement system installed on the cell. Offline calibration can reach an accurate position immediately without any measurement iterations. Robot calibration is currently provided as a product as well as a service in partnership with Creaform. Previous Article New RoboDK Update Now Available!